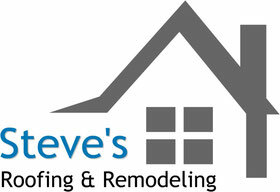 Steve's Roofing and Remodeling uses only the finest grades of wood products, including treated rough, Ozark and cedar. We can build the exact fence you want with any material you desire. The wood products we use are both economical and multi-functional. Our wooden fences offer security and seclusion while maintaining a beautiful, natural look. Wood fence work is truly a fine work of art that adds years of beauty to your yard or business. Wood adds endurance and elegance that will translate into increased property value and years of enjoyment. Whatever your style requirement, you will have an option to best suit your style and height requirement. Custom Design of the owner. Does your home or business need some added security or are you looking for some additional privacy? Are you tired of painting or staining your wood fence? Regardless of your reasons for wanting a vinyl fence, we can help. A vinyl fence can enhance not only the appearance of your home or business, but the value as well. All while providing years of comfort and enjoyment. Vinyl offers a virtually maintenance free, long lasting alternative to wood that is available in multiple colors and styles. We offer vinyl color including white, sand, wicker, wood grain cypress and other color options upon request. Made of 100% Pure Virgin Vinyl, Great Lakes products were created to maintain their structural integrity and color retention over years of use. Whether you prefer the traditional look of a white picket fence or the prestigious look of wood lattice, we offer a wide range of choices for you to choose from. With so many styles and colors to choose from, you may find the hardest part of your fence installation experience is making a decision. But once you do, we guarantee you will be pleased with the results. Whether you want to keep things in or keep them out, chain link fencing is the perfect choice. Chain link fences offer the most economical option available for home and business owners. One of the most common styles of fencing for both residential and commercial applications. Chain link fencing is the ultimate choice in strength and low maintenance. Chain link offers both protection and durability. Upgrade chain link to black or green. Concerned about privacy? No worries, woven in PVC slats are an economical solution to your privacy needs. When you want high class and security, our decorative ornamental fences are just what you’re looking for. Strength, security and beauty are the key images projected by this ornamental iron fence. Ornamental fencing has a classic style and is available in an array of styles. For functionality, durability and safety, there is no match for the attractive security of our ornamental fences on commercial and residential properties. There are many different options available when it comes to ornamental fences. Your product can be ordered in either aluminum or iron. Ornamental fences are an alternative to the rusting and high maintenance of traditional wrought iron fencing. Powder coated over galvanized high strength steel insures a maintenance free product for many years. Whichever you choose, these fences will enhance your property value and remain pleasing to the eye. Ornamental fencing adds a decorative, elegant touch to your landscaping.